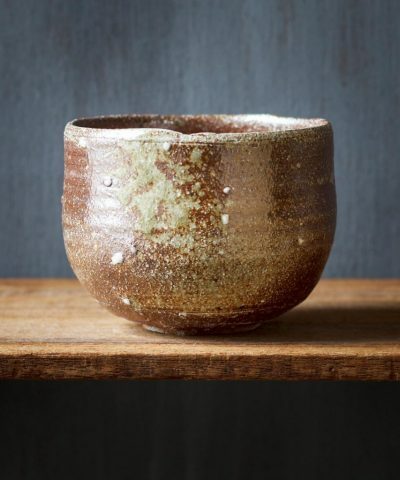 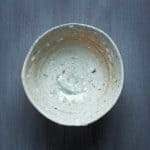 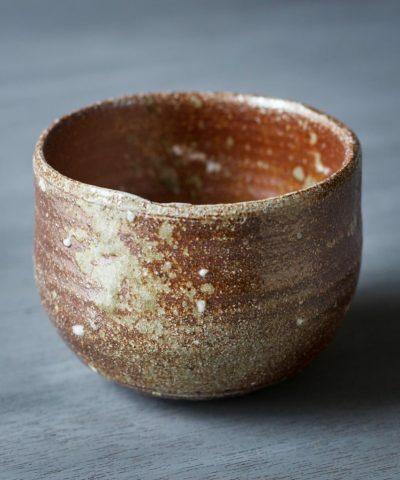 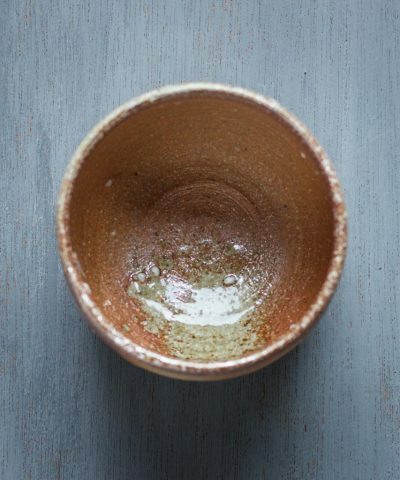 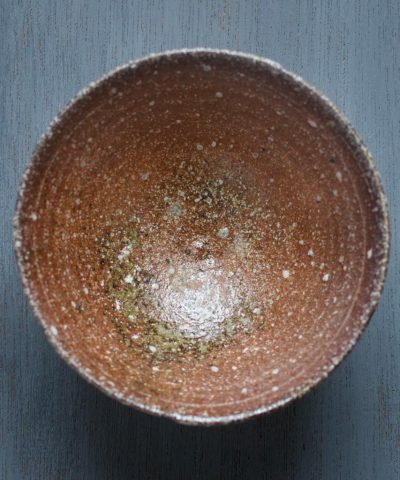 This ‘Shigaraki-Yaki’ Matcha Chawan was hand made by Artisan Kyuubei Sagara at his own ‘Kayano’ kiln in Shigaraki. 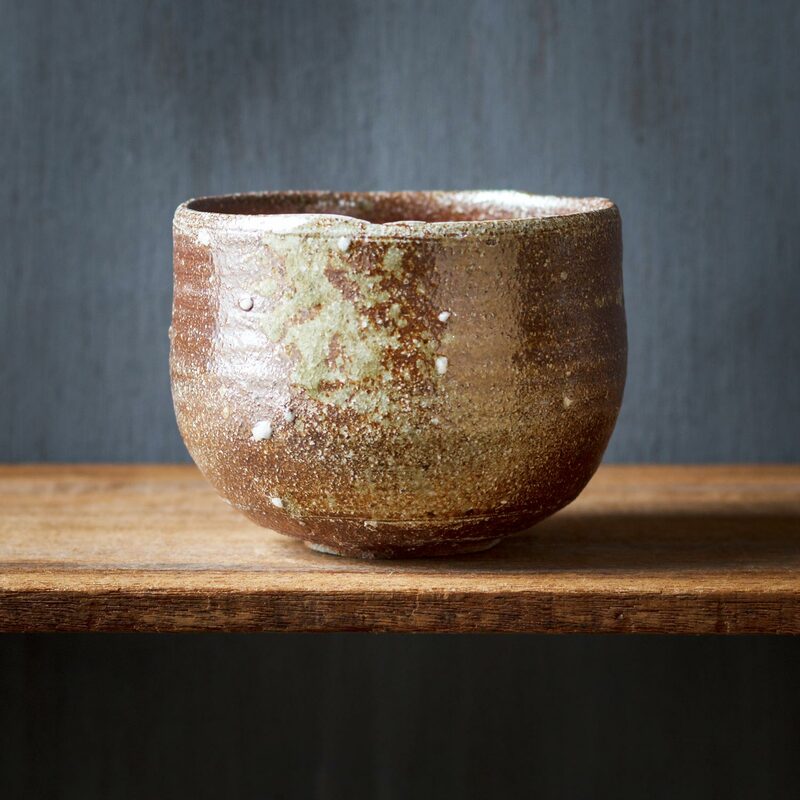 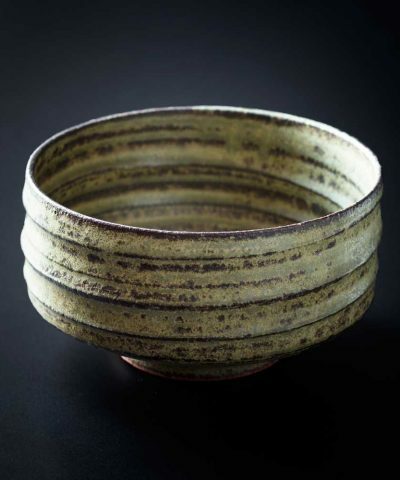 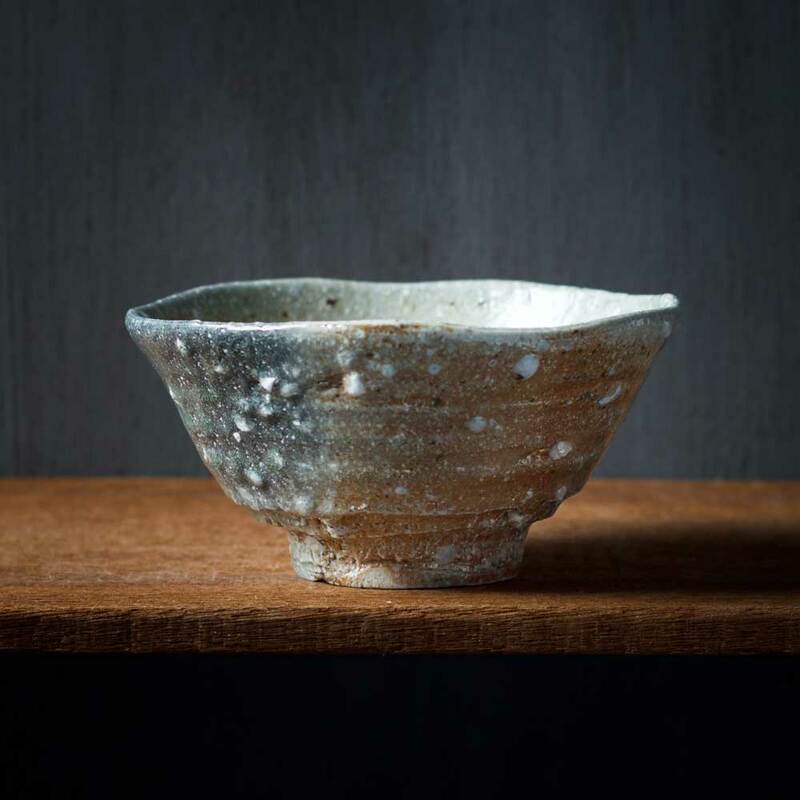 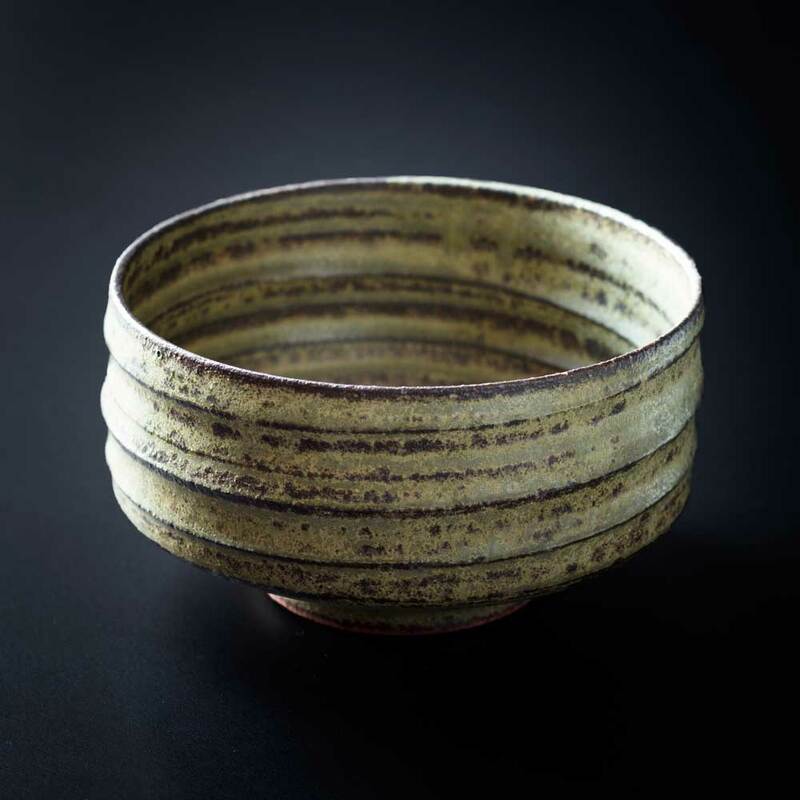 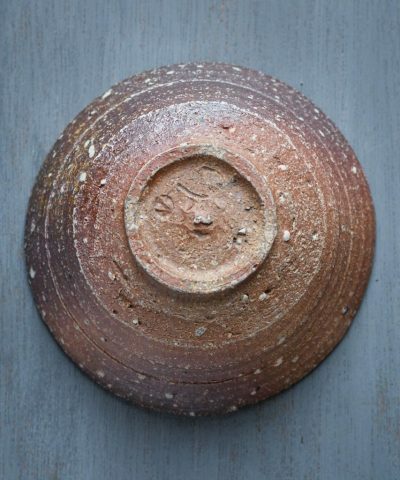 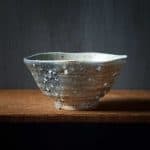 Shigaraki ware dates back to the 12th century and the Shigaraki kiln is recognised as one of the ‘Six Old Kilns’ in Japan. 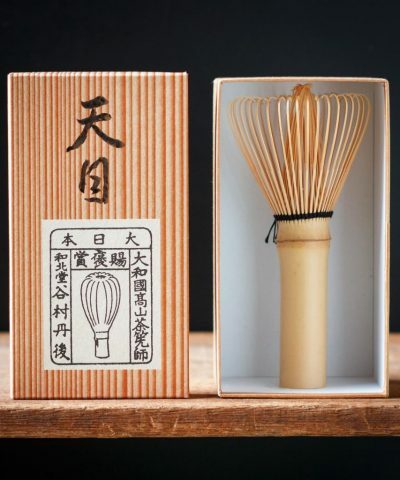 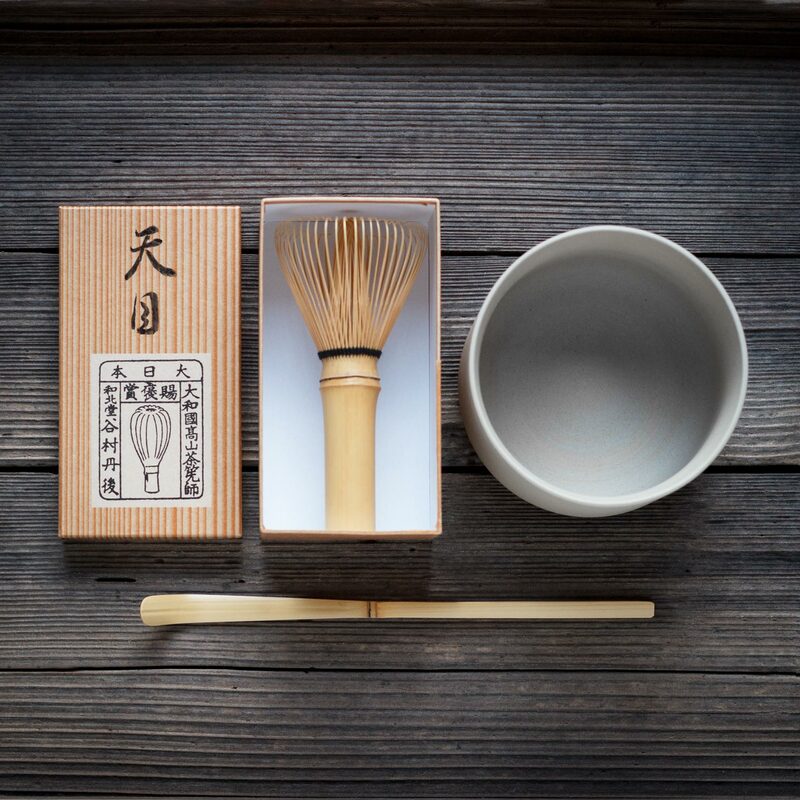 Shigaraki town is located in Southern Shiga Prefecture, close to the borders of Kyoto and Nara, and neighbours the Uji tea growing region. 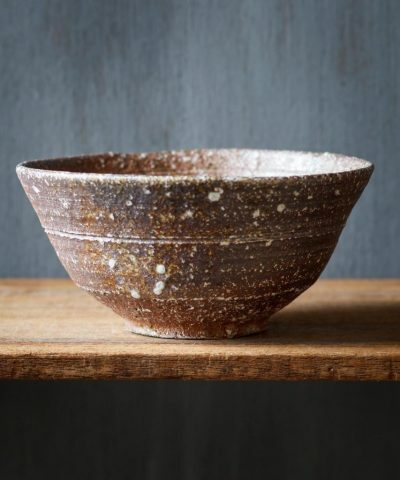 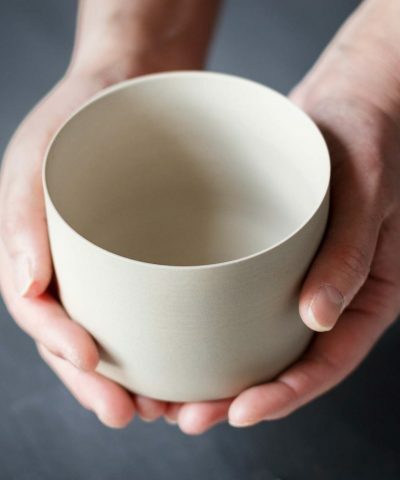 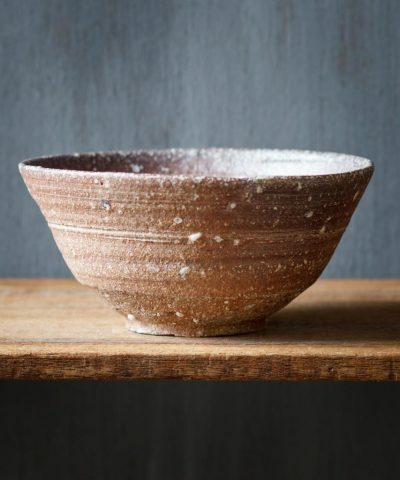 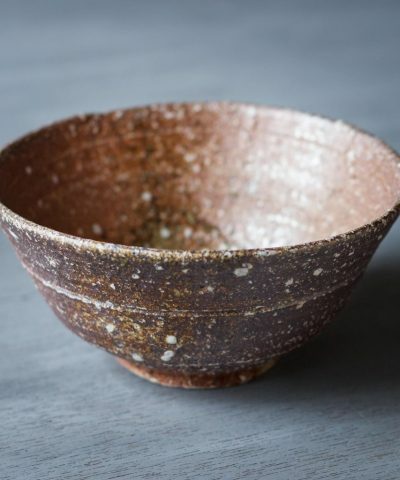 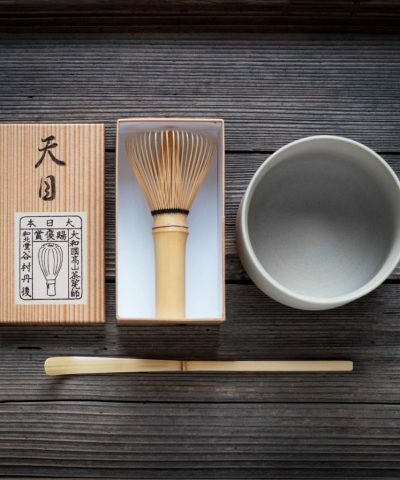 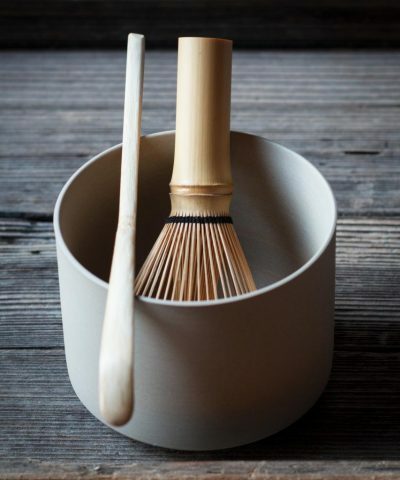 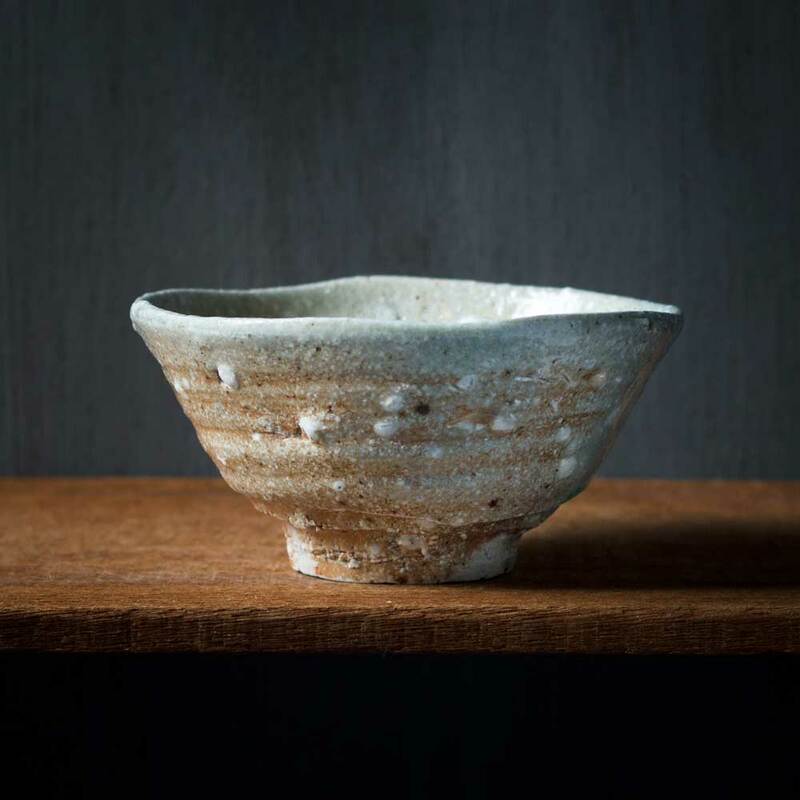 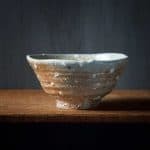 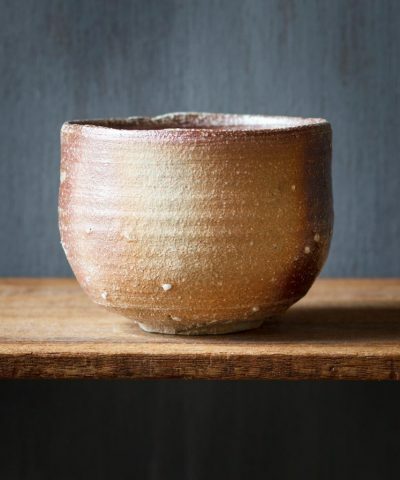 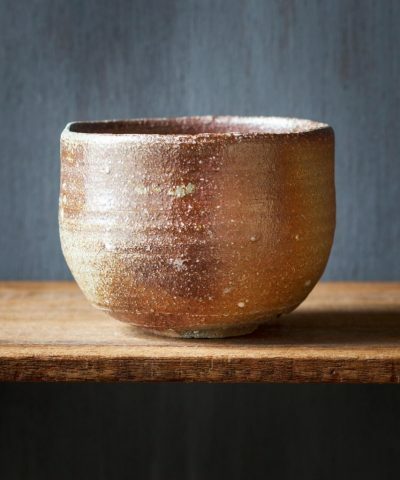 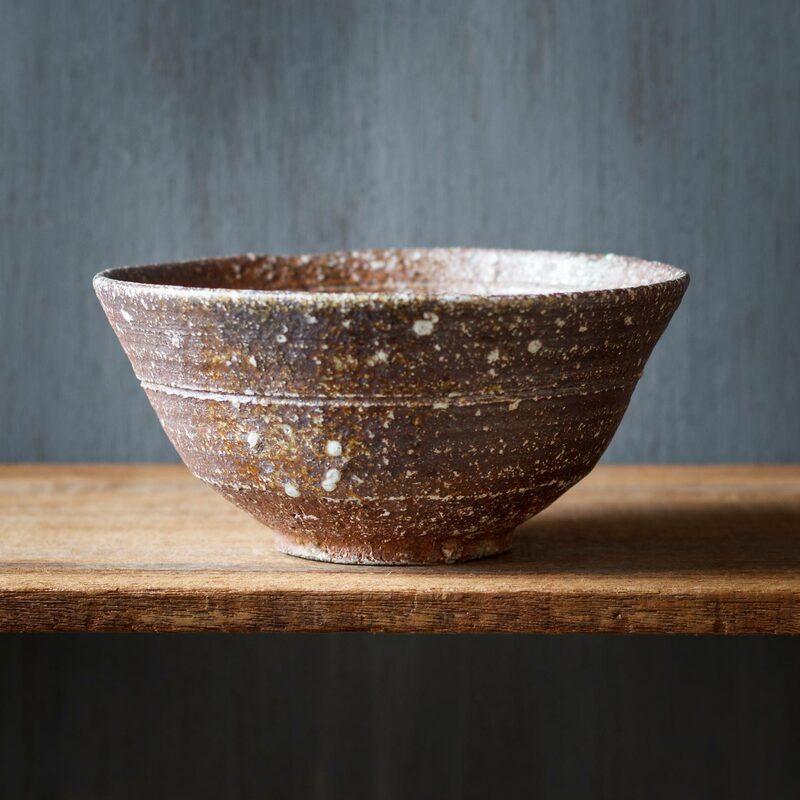 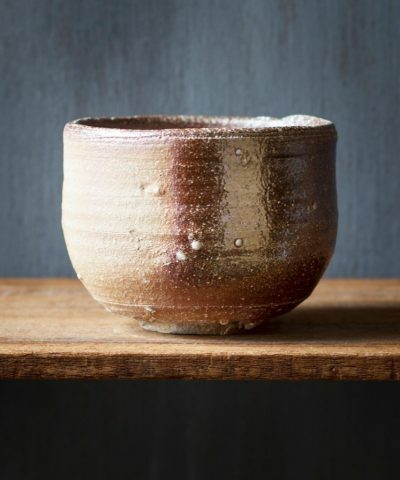 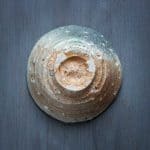 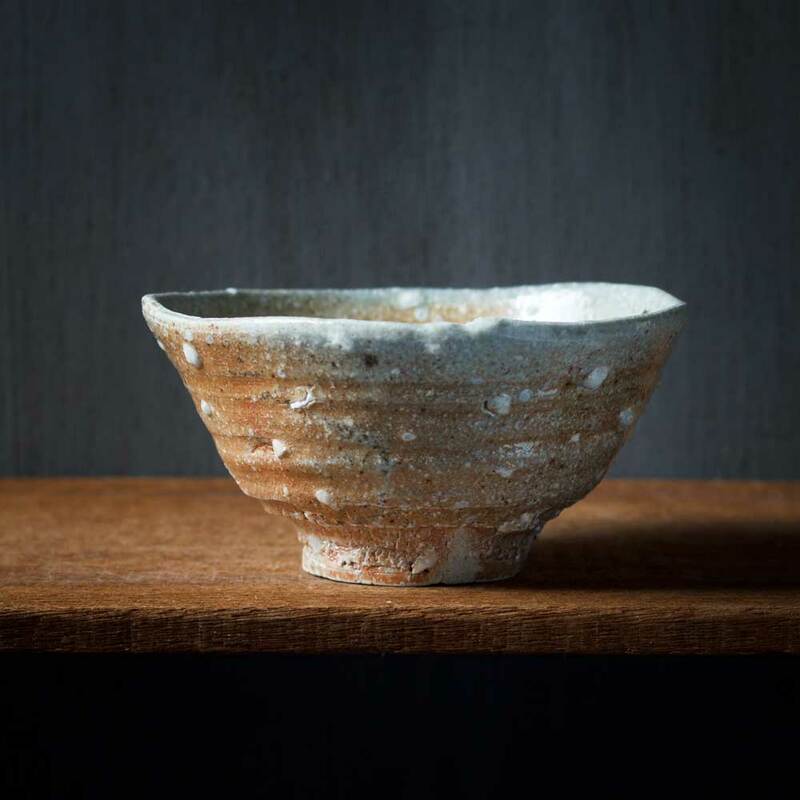 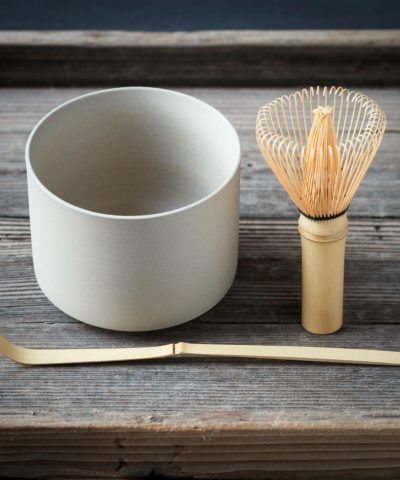 Shigaraki ware is made with sandy clay from close by Lake Biwa, the largest lake in Japan, which gives it it’s distinctive warm orange colour. 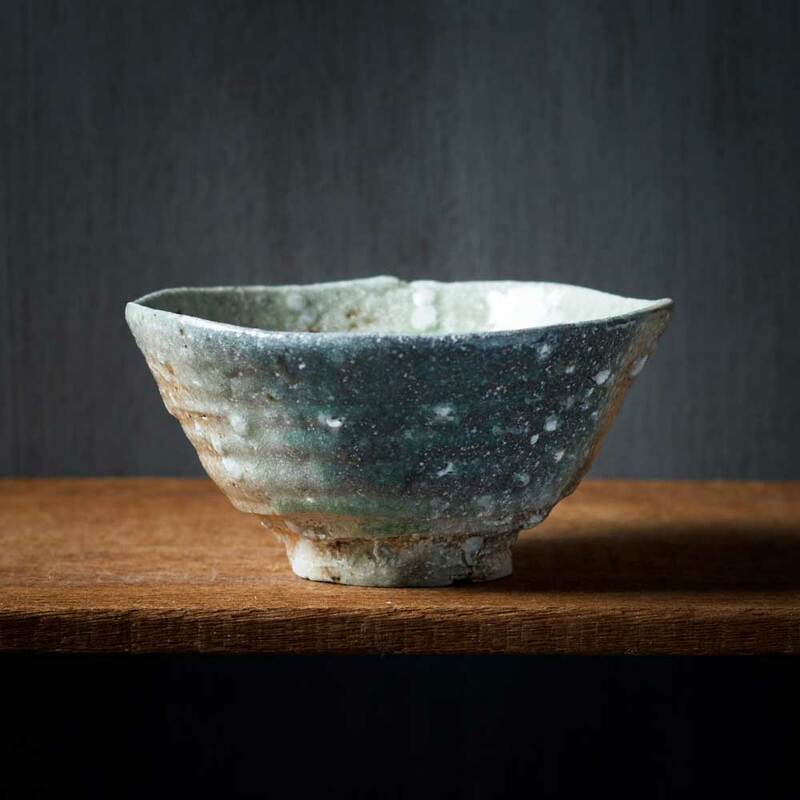 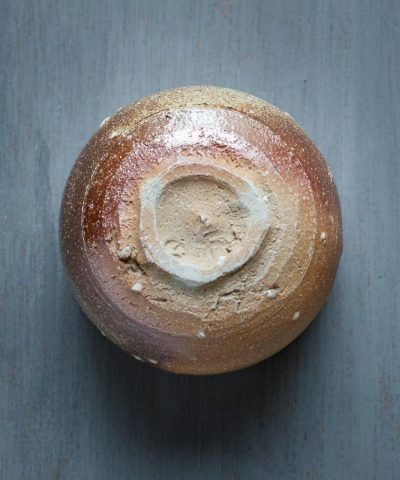 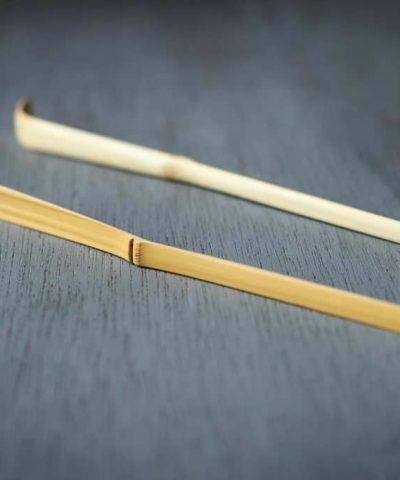 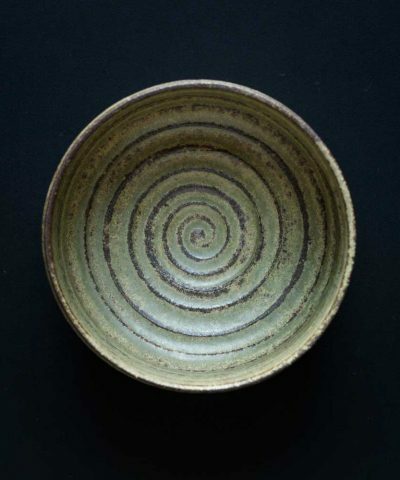 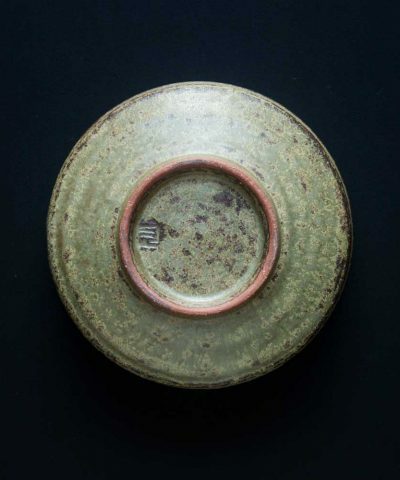 It features a natural aesthetic and irregular contours, as well as beautiful glazes that are often transparent and glass like, with bluish and greenish colourings.